There are 6 main areas or ‘sestiere’ of Venice, including Cannaregio, Castello, Dorsoduro, San Marco, San Polo and Santa Croce. 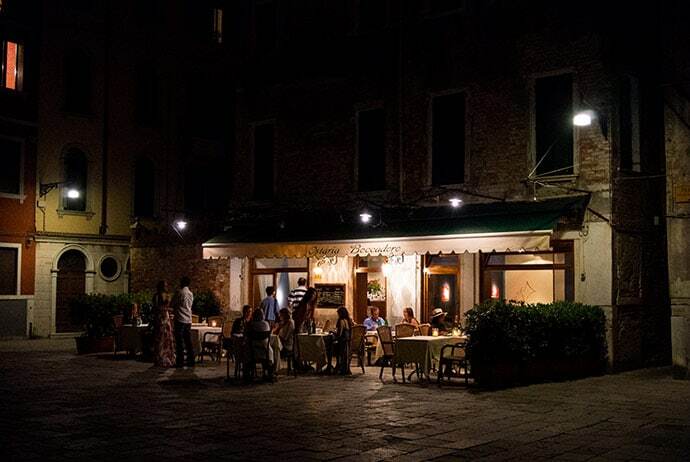 Cannaregio covers a large area, and whilst some parts are very busy thanks to the train station and tourists dispersing to the their accommodation and making there way to the main attractions, there are many quiet parts of Cannaregio. 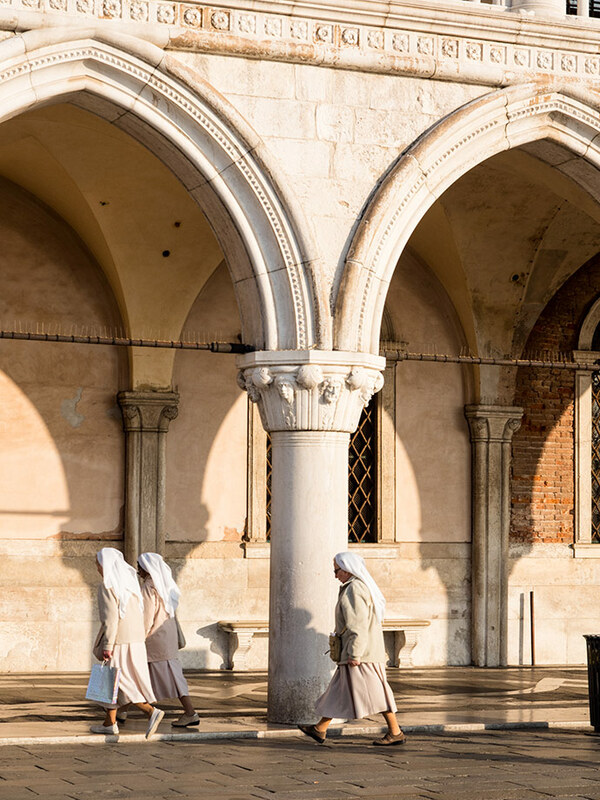 It’s home to Venice’s Jewish Ghetto and most local residents live here. It’s also an area where you can find cheaper accommodation. Castello is one of my favourite neighbourhoods of Venice. It’s a part of Venice the tourists don’t frequent and you will see locals walking around. It’s quiet and beautiful and a place I definitely recommend you just come to explore the streets. 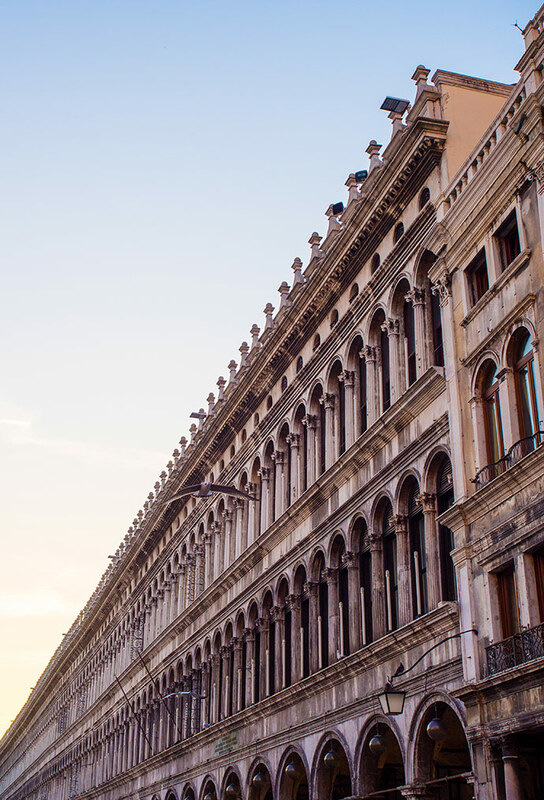 Dorsoduro is a great area for visiting museums and also home to my favourite cicchetti (see where to eat in Venice below). To get here you cross the absolutely stunning Ponte dell’Accademia. San Marco is the tourist centre of Venice, home to St. Marks Cathedral, St. Marks Square and many of the main sights. It’s beautiful but very crowded and prices here will be more expensive. San Polo is home to the Rialto markets and is connected to San Marco by the Rialto Bridge. And then you have Santa Croce, which is an area that includes the bus terminal and where you can park your car, but it also has some charming quieter areas. 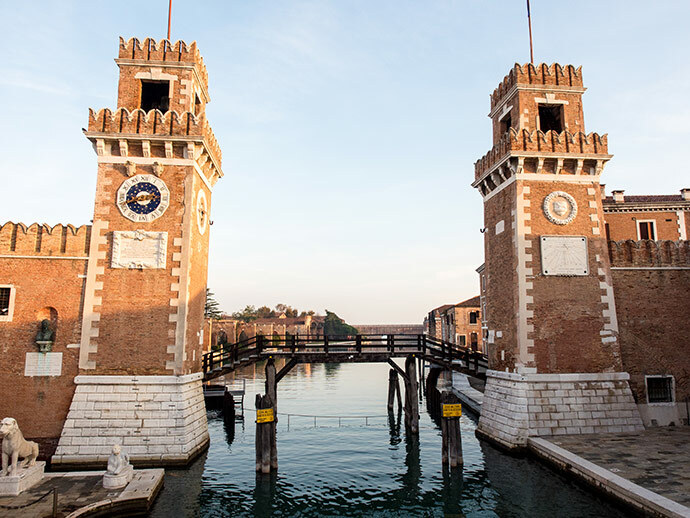 There are also neighbouring islands which you may visit during your stay in Venice, or choose to stay on instead. These Islands include Giudecca and Lido, which are mainly residential with some hotels. There are a lot of things to do in Venice, but to me, Venice is not so much about a list of things to tick off, but exploring and getting lost. 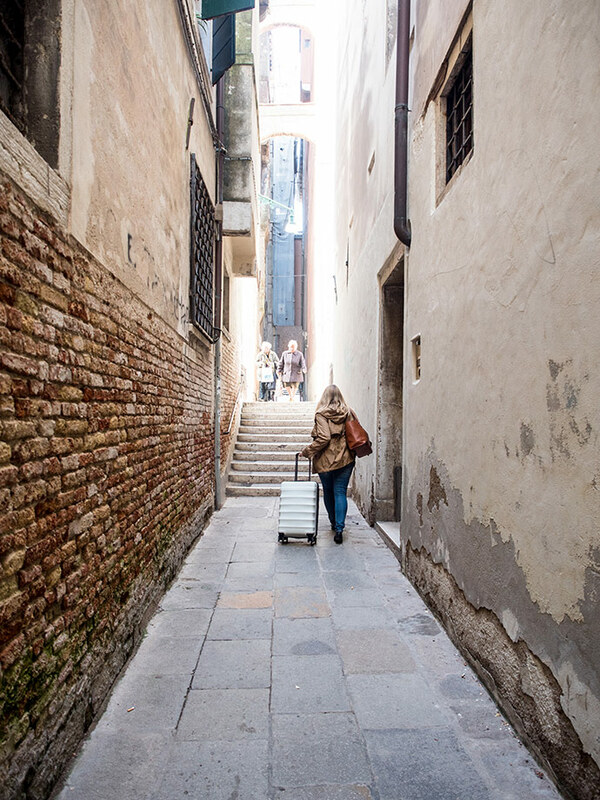 I think two things make for a perfect Venice trip, exploring the streets that everyone else isn’t on, and eating Cicchetti (see where to eat in Venice below). 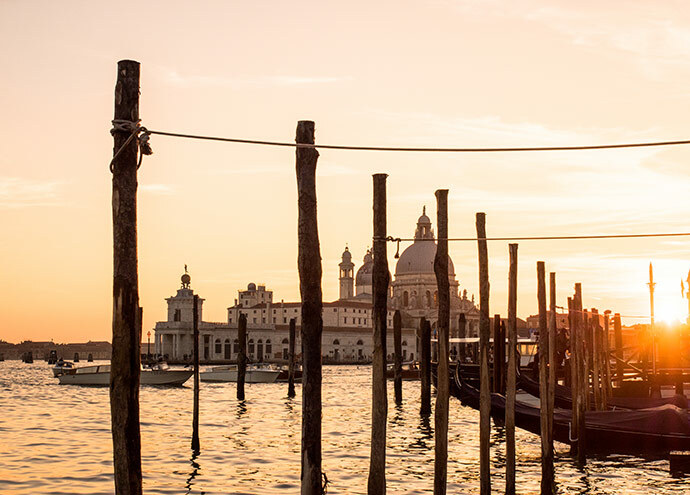 Our guide to Venice could be just that sentence. One of my favourite things to do in Venice is to go for an early morning walk in the Castello area. 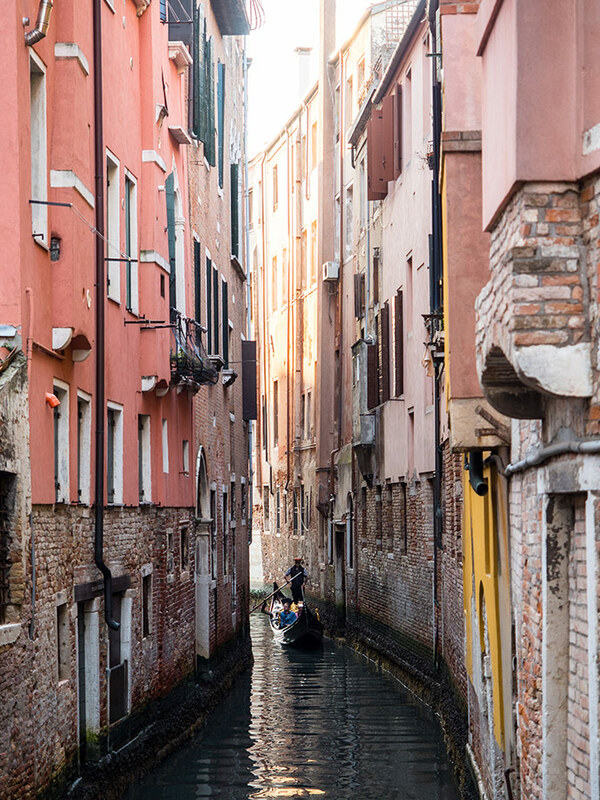 It’s quiet, beautiful and you will get a local feel for Venice. 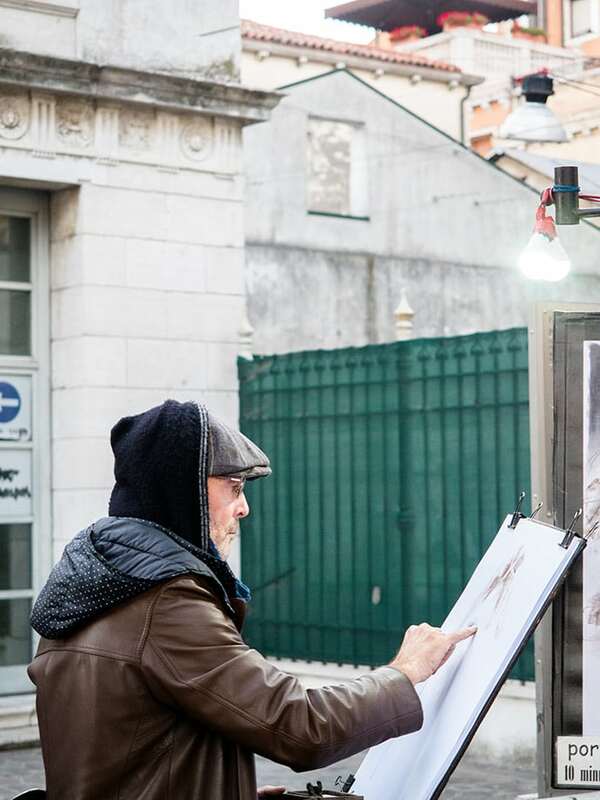 If you have the time, try and explore each neighbourhood, as each one has a different feel. 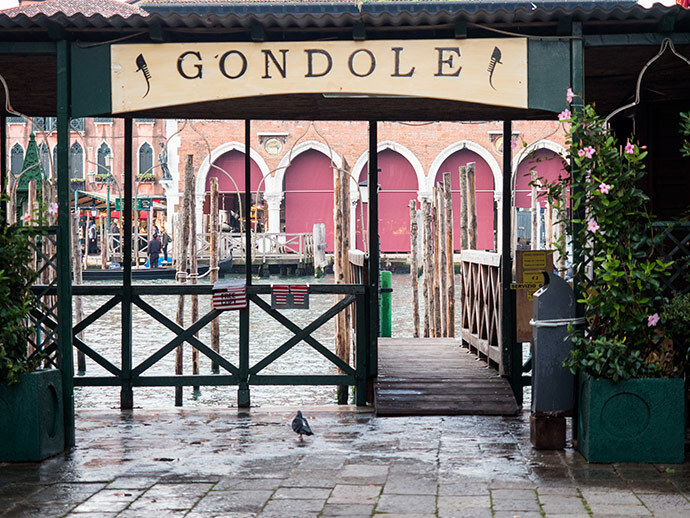 Explore the Grand Canal and other canals on a gondola ride but keep in mind they are very expensive. I love just going on the Vaporetto or water taxi, but a private water taxi would be even better. Another alternative is to try a kayaking tour. One thing thats still on my to do list for Venice is visit the islands surrounding Venice, some of which are Burano, Murano and Torcello. 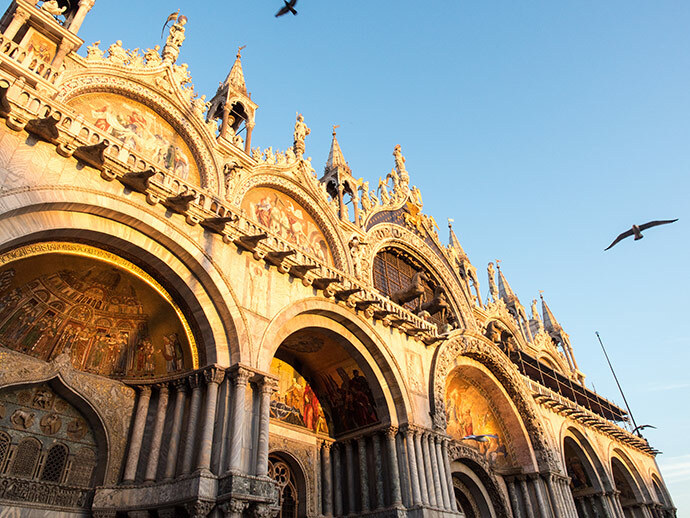 The main sights include St. Marks Basilica, St. Marks Square, Doge’s Palace, Bridge of Sighs, museums such as the Peggy Guggenheim Collection and Gallerie dell’Accademia. 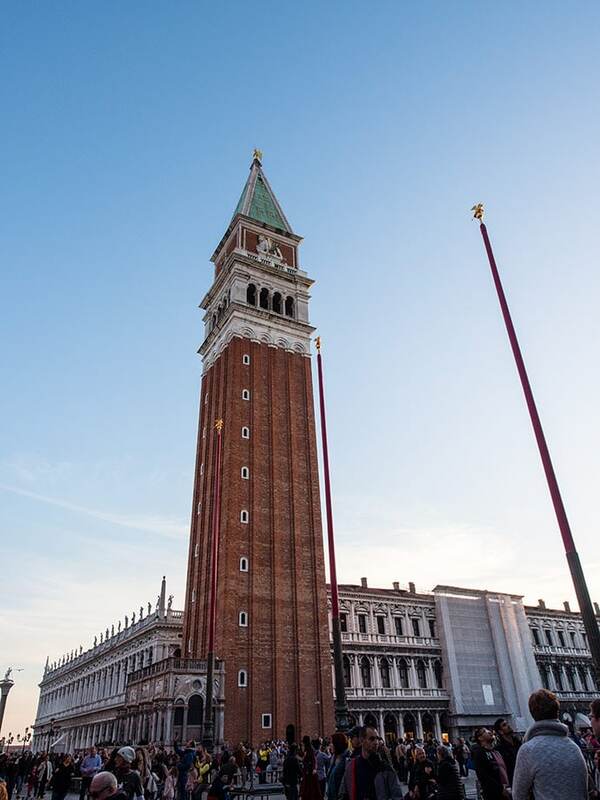 To get magnificent views over Venice try the Campanile or San Giorgio Maggiore Tower. Looking for a special event? Try a show at Teatro La Fenice. If you love food and markets try the busy Rialto Markets. 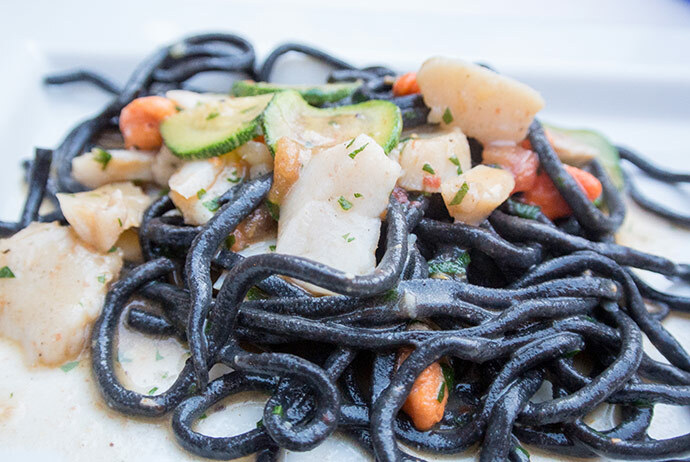 There are so many delicious places to eat in Venice. If you’re after a special dinner experience I absolutely loved Ostaria Boccadoro. Here you can sit in a small square a little away from the main tourist crowds, enjoy amazing food sitting outside whilst local kids play soccer in the square. 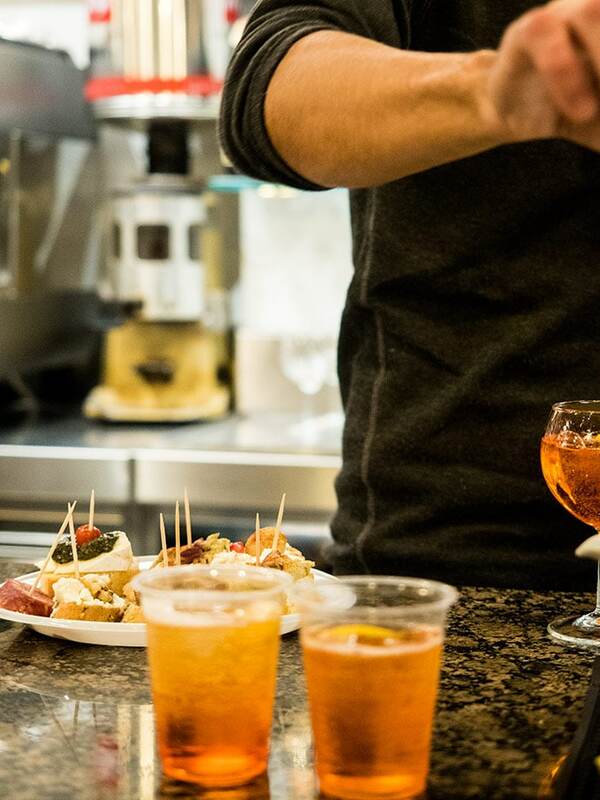 Another food experience that you absolutely have to have when in Venice, and is perhaps my favourite thing to do in Venice, is have cicchetti. 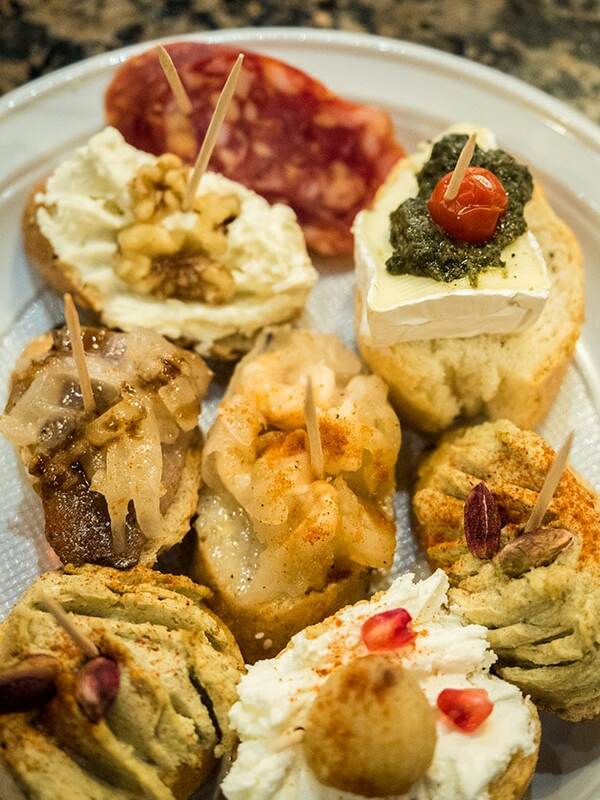 Cicchetti is essentially small dishes or bites of foods. We went to Cantine del Vino già Schiavi, a beautiful small store with walls of wine serving cicchetti. Here they have small breads with toppings, my favourite was rucola cheese with chestnut and pomegranate seed but every flavour was so tasty. Don’t expect to sit down, either stand inside the cozy store or take your snacks outside by the canal and bridge. 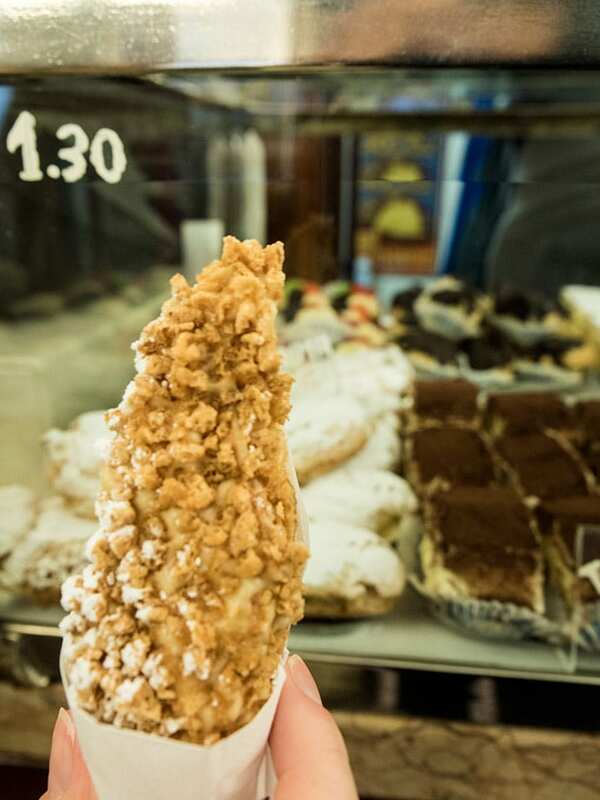 Feeling in need of a pastry or sweet breakfast snack? Pasticceria Rizzardini is a beautiful traditional store but be prepared it can get quite busy. I had a beautifully delicious zabaglione pastry. Of course being in Italy there has to be Gelato! 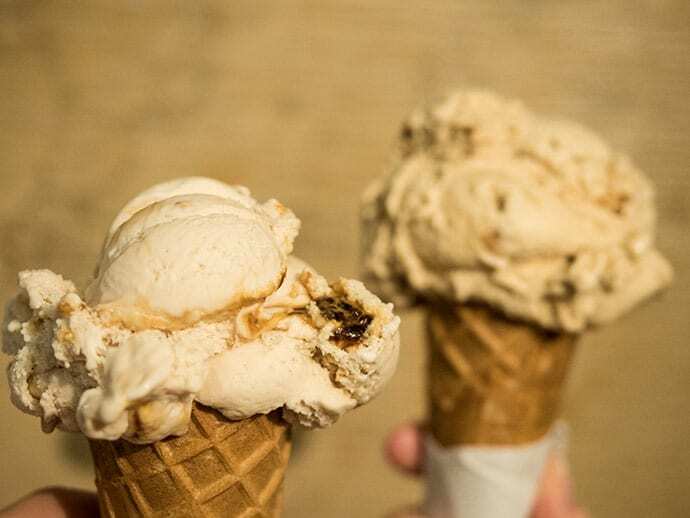 Suso Gelateria has delicious gelato, where I tried gingerbread and then fig + vanilla, both amazing. 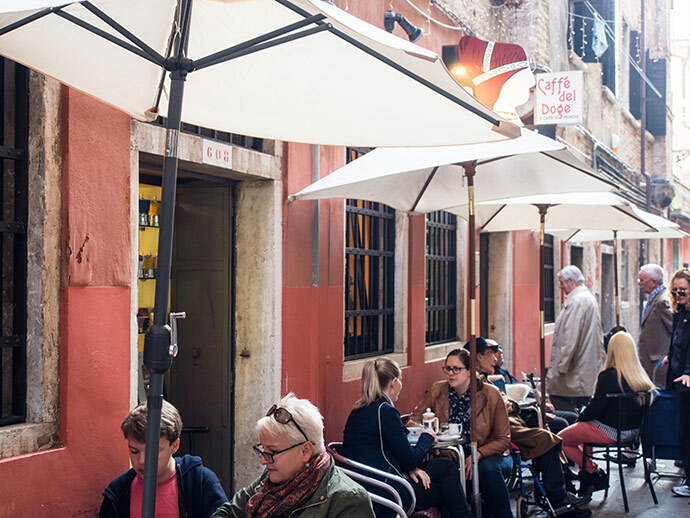 Caffe Del Doge is an iconic cafe in Venice that also roast their own coffee. The perfect place for a coffee in Venice. JW Marriott Venice Resort & Spa – 5 star luxury hotel on it’s own island with stunning grounds and beautifully designed rooms. The Gritti Palace – 5 star luxury hotel in San Marco, completely exuberant in both design and price. 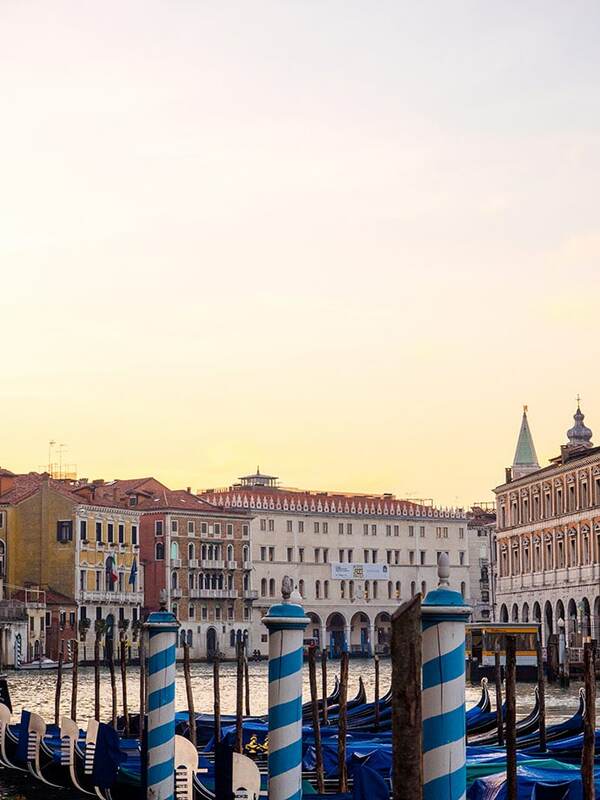 San Clemente Palace Kempinski Venice – 5 star luxury hotel located on it’s own island with a shuttle to San Marco. 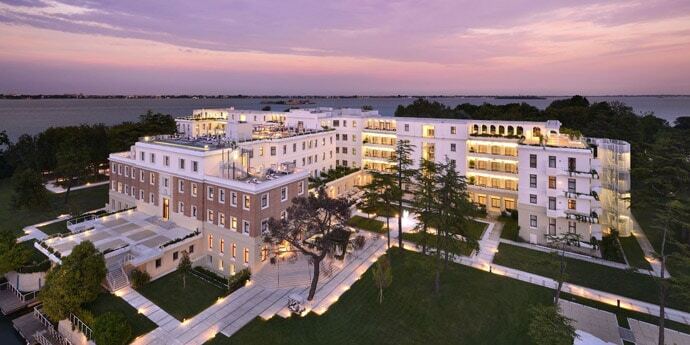 Belmond Hotel Cipriani – 5 star iconic hotel located on Giudecca Island. Hotel Londra Palace – 5 star hotel with an excellent location in Castello not too far from San Marco. Palazzo Veneziano – 4 Star Hotel located in Dorsoduro near the water. 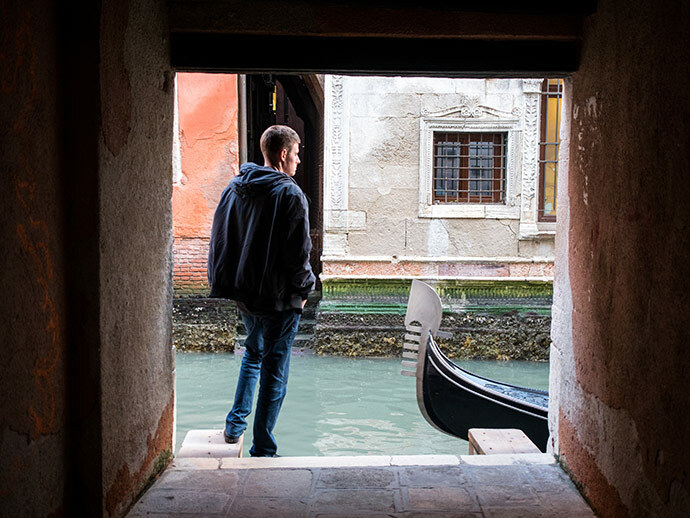 There are a few ways to get to Venice. Both times we have been we arrived by Train at Venezia Santa Lucia station. This station is in Venice whilst Venezia Mestre is on the mainland. I’ve loved taking the train to Venice, but keep in mind it’s super busy when you first get off. On our last trip, we took the train from Ljubljana, Slovenia to Venice, which was such an interesting experience. We book our train tickets online through Trainline. 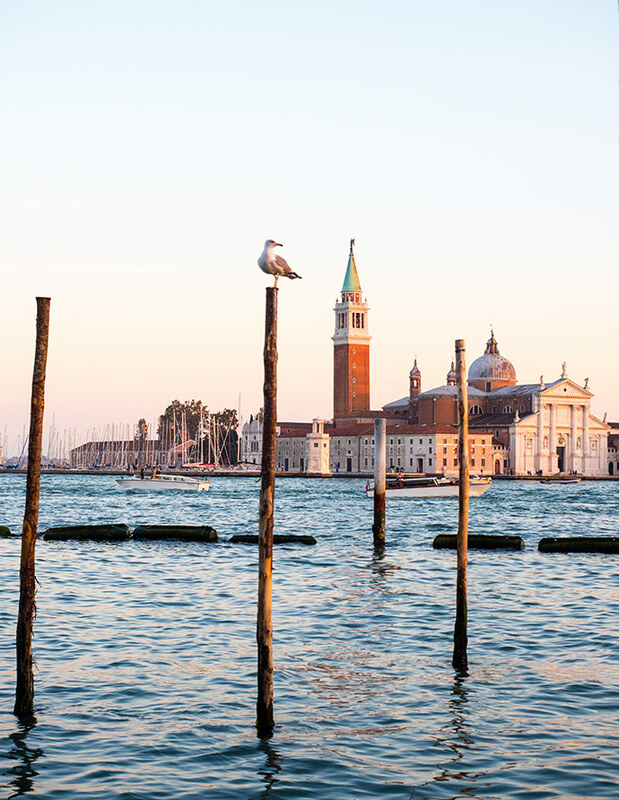 You can also fly to Venice’s Marco Polo Airport. 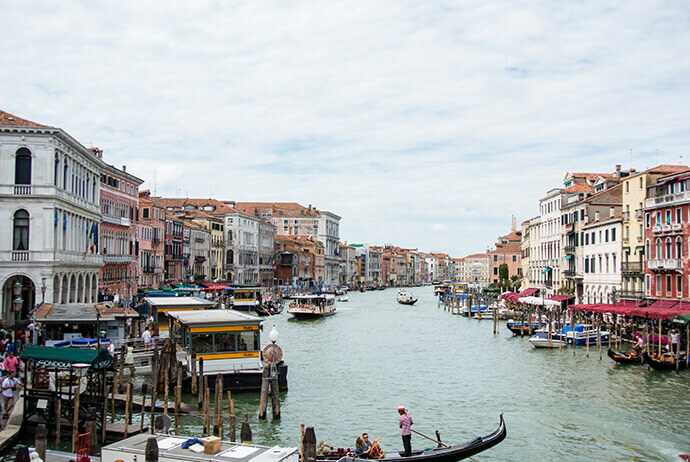 The airport is located a little out of Venice, but from here you can get a water taxi, bus or taxi to Venice. If you have a car you can drive to Venice, but you cannot drive around Venice. 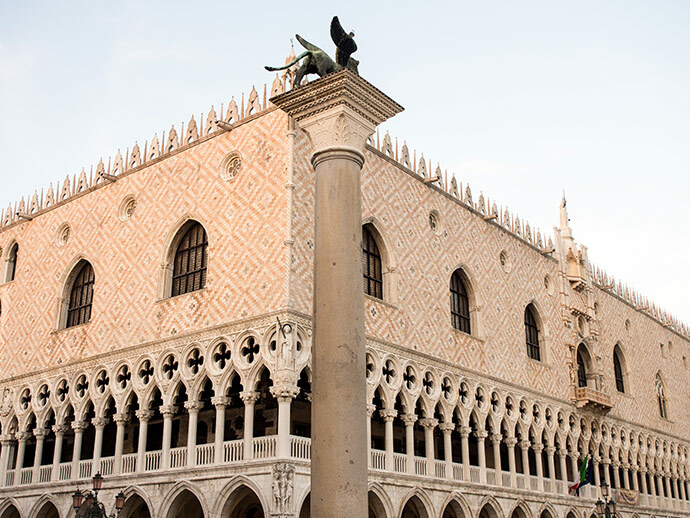 You can park your car on the mainland or just as you reach Venice for a fee. There are also buses connecting you to Venice. 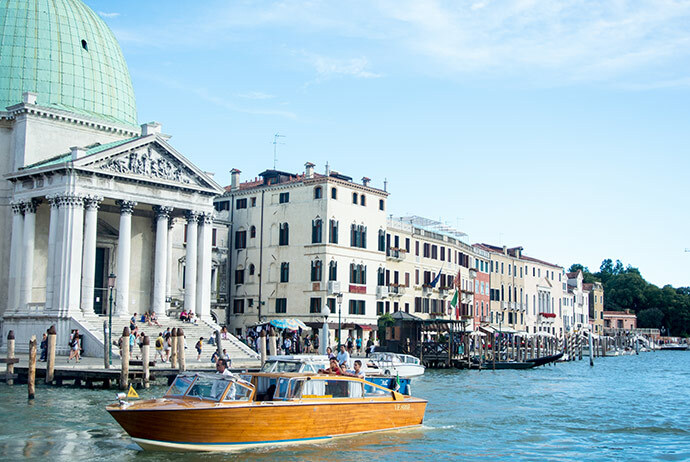 The main ways to get around Venice are by walking and using the water bus (Vaporetto) or water taxis. 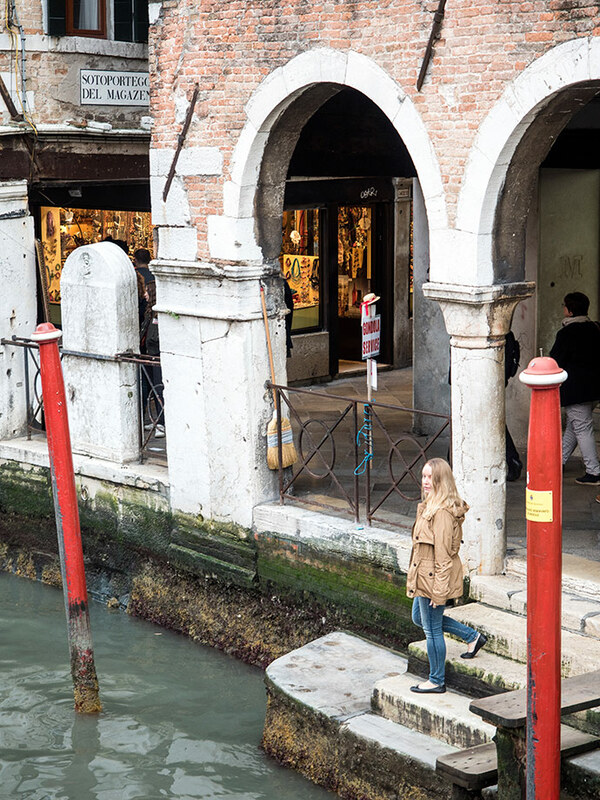 Walking is an excellent way to explore Venice and one of my favourite things to do. As you walk you will cross many little bridges and some big bridges. 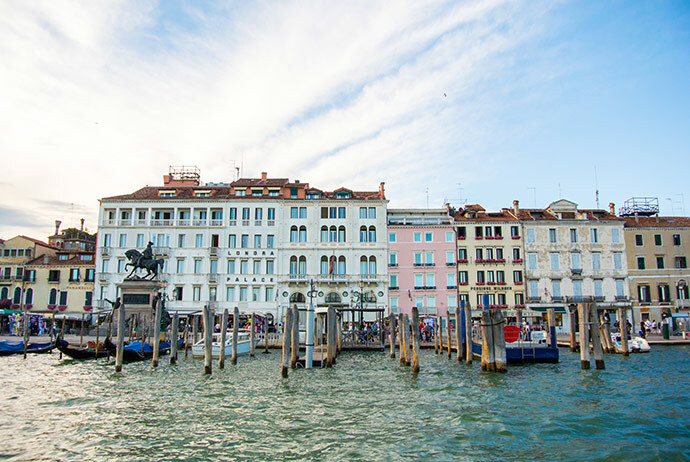 Vaporetto is a great way to get around Venice, especially to see it from the grand canal. Find out fare information here. Water taxi’s are even better but you will pay for the convenience. Venice can be visited year round. 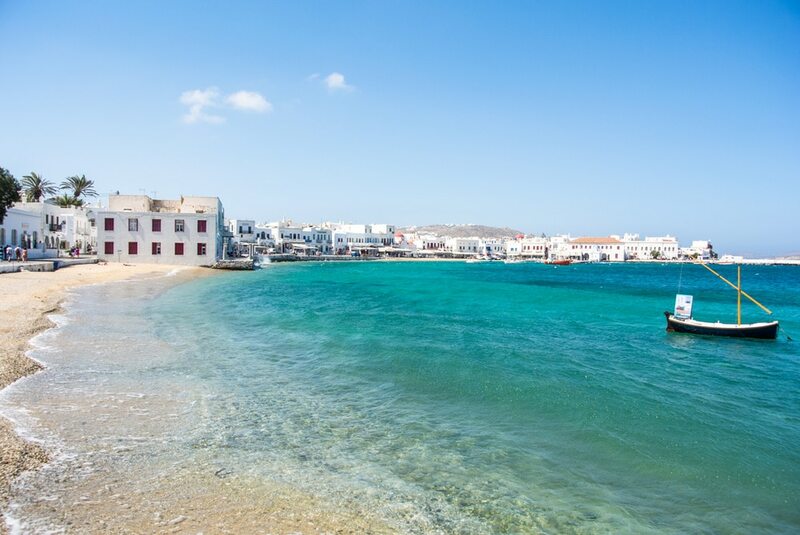 Obviously the temperatures will change and what weather you want to visit in is really a personal choice. There is the possibility of flooding or ‘Acqua Alta’ mainly in October, November, December, but this doesn’t happen all over Venice and also usually only lasts for a few hours each day. The busiest and hottest time of year is in June, July, August and September. We visited in July and the end of October. One thing that shocked me was how packed Venice was on my first trip in July. Another thing that shocked me was how packed Venice was on my second trip which was the every end of October! All I can say is don’t expect to see Venice quiet even if you come ‘off season’. I have heard that January can be one of the times that has fewer tourists. In my experience, I loved Venice in both July and October. I do think that a ‘shoulder month’ is a great time to come too. There are also events in Venice that you may either want to go to Venice for or avoid, such as Carnival and the Venice Biennale. 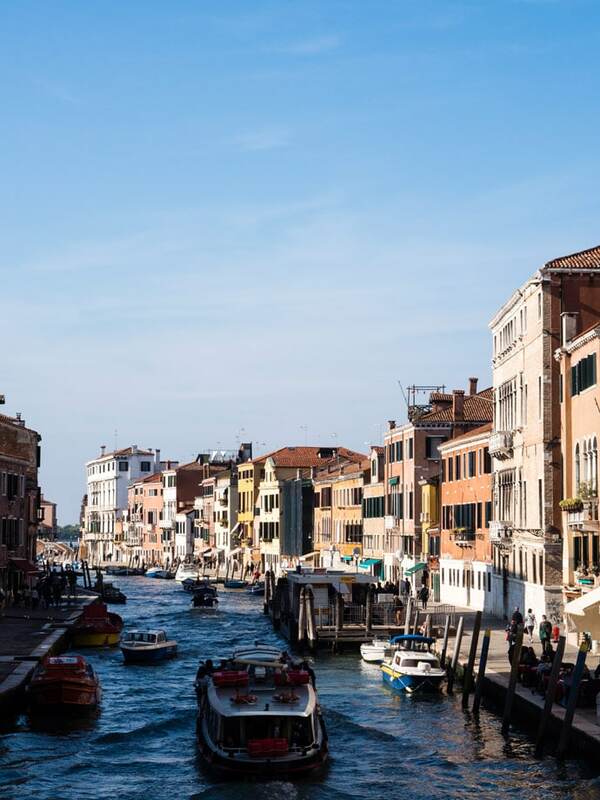 There is so much to see in Venice but if you have time the surrounding islands of Venice like Burano, Murano, Torcello and many more are definitely worth some time. From Venice you can also visit so many amazing places like Verona, Padua and Ferrara. But I tend to think most places are better if you get to stay there and experience the early mornings and evenings, so whatever fits your plans best. 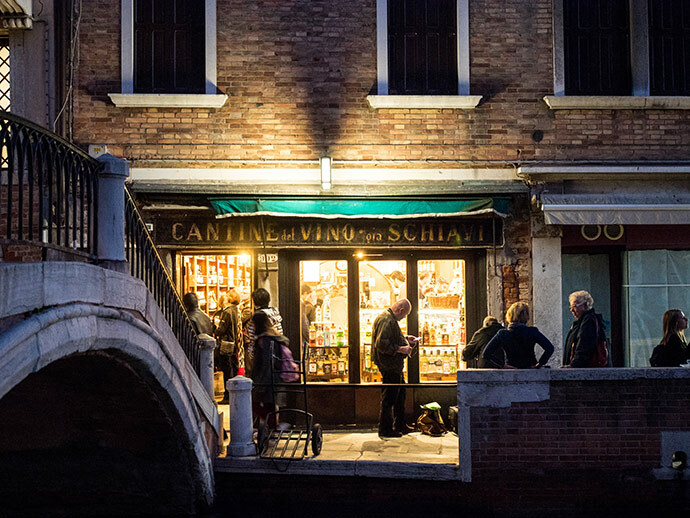 As a minimum, at least one night in Venice is essential if you’re pushed for time. Don’t try to fit it into a day trip as you will miss the best bits of Venice. Two – four days would be better. 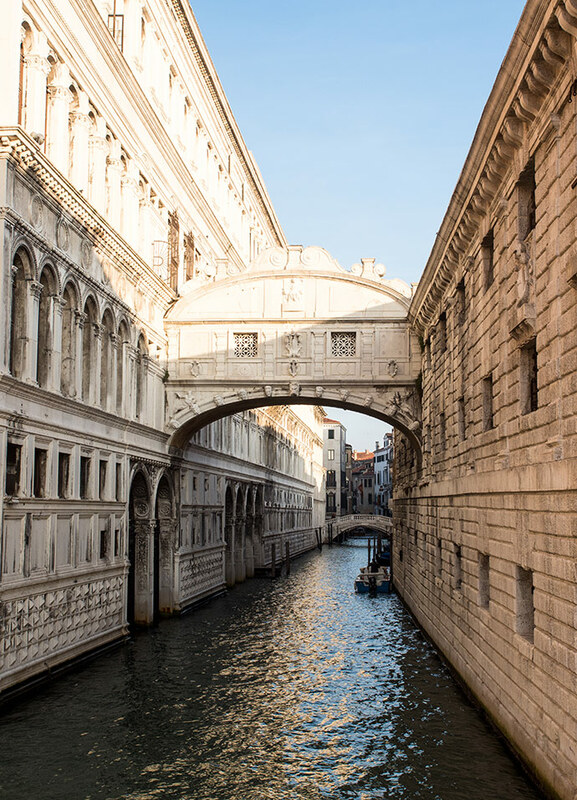 To explore and experience more of Venice and the surrounding islands consider staying for longer. I think exploring the neighbourhoods where the tourist crowds disperse is so important to fully enjoy Venice. 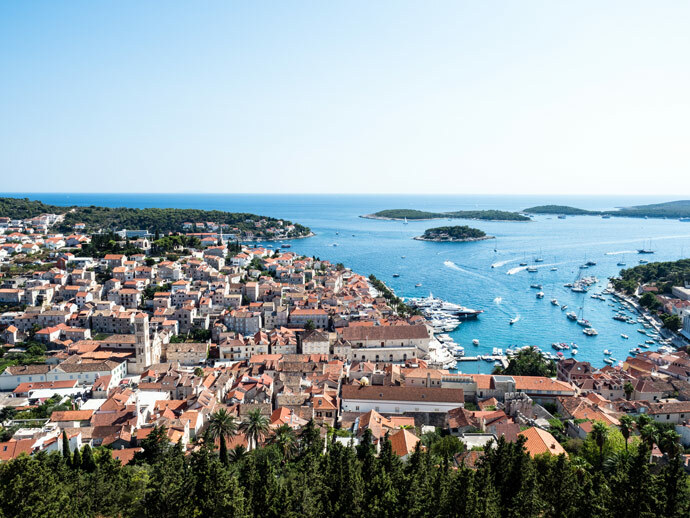 I would pick a few of the main sights that you have to see, and spend the rest of the time walking around the quieter areas. Another thing that is a must do is to try Cicchetti, not just for the food but the atmosphere. 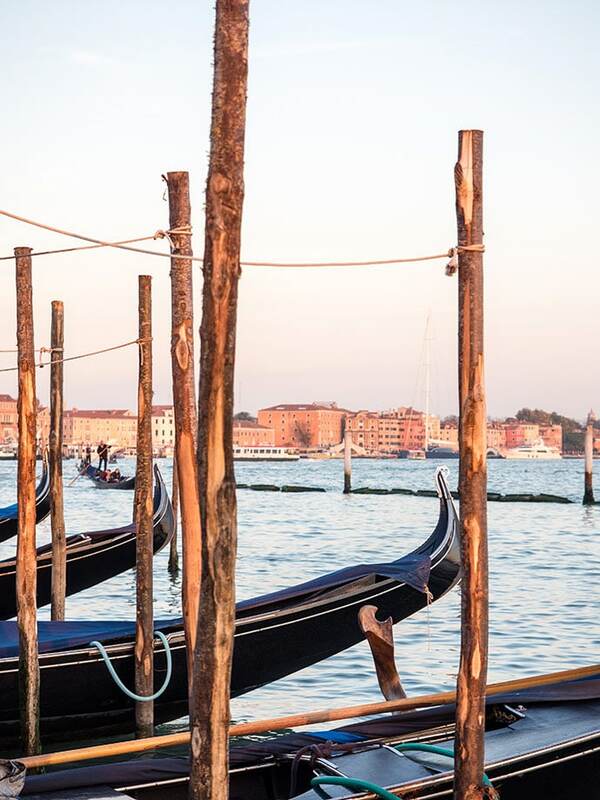 If there are two things to take away from our guide to Venice, they are it. Also, make sure to book your accommodation well in advance. And of course, don’t forget Venice from the water, even if it’s just on the Vaporetto. For more information visit the Venice Tourism Board. 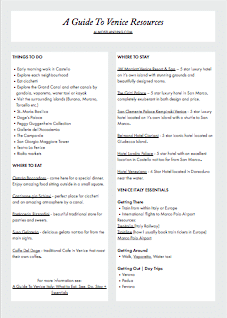 Get your free printable guide to Venice resources page here.